Image courtesy of Audible, Inc.
Julia Bishop's life as she knows it has been destroyed by her late husband, who has made a career out of embezzling people's funds. So when a strange visitor comes to her out of the blue with an offer to help care for Julia's favorite horror/suspense novelist, Amaris Sinclair - who up until that point was believed to be dead - she jumps at the opportunity. Sands gives our heroine a soft, ethereal voice that builds the suspense nicely as the plot twists and turns down the creepy corridors of Ms. Sinclair's remote mansion. Her vocal diversity is the sure sign of a master storyteller - she can switch expertly from a gruff, Scottish brogue to the ghostly, sandpapery tones of the inscrutable Ms. Sinclair herself. 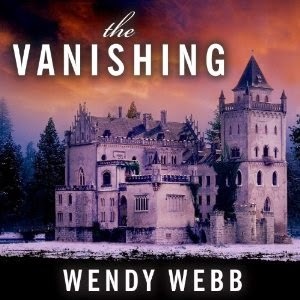 With an ending that both delivers and leaves the listener wondering, The Vanishing will have you jumping at shadows long after the intrigues of the story have unraveled themselves. Click here to listen to an audio sample. Long before vampires sparkled and acted like sullen teenagers, they were a dark force to contend with. This German film takes our favorite pain in the neck to a whole new level of creepy, remaking the 1922 silent film of the same title. Largely following the plot of Bram Stoker’s Dracula, Nosferatu takes over a small German village, reaching out to his victims with long, white fingers with cruel tips at the end. 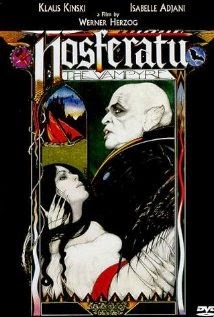 As the film progresses, Nosferatu becomes more physically desiccated as he attempts to spread his influence throughout the rest of the world. Critics have often related director Werner Herzog’s portrayal of this iconic monster of literature to the rise of the Nazi party in Germany. It won the Outstanding Single Achievement award for production design at the 1979 Berlin International Film Festival and has become a classic of the horror genre. Rated PG, there are violent scenes of bloodshed that parents should be advised to take into consideration with small children. “No no no, it’s pronounced Fronk-en-STEEN.” This Mel Brook’s spoof on the classic horror tale by Mary Shelley is filmed in glorious black and white and is a great alternative for audiences looking for something on the lighter side this Halloween. 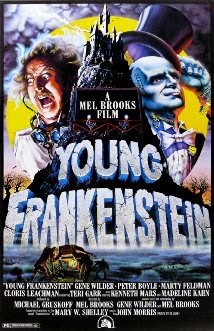 Gene Wilder plays the grandson of Dr. Frankenstein, an eminent neurosurgeon who initially scoffs at his grandfathe’s work, calling it “doo doo.” He changes his tune though when he finds out that he has inherited the Frankenstein castle, as well as the shady characters that live within it. The monster he creates (played brilliantly by Peter Boyle) turns out to be a sensitive soul that much prefers a night out on the town in tux and tails rather than ransacking local villages. Rated PG for sexually suggestive humor, Young Frankenstein is a great graveyard romp for the whole family.